Following the lines of her larger sisters, the new FD77 Skyline is designed for the owner and operator. Following the lines of her larger sisters, the new FD77 Skyline is designed for the owner/operator. 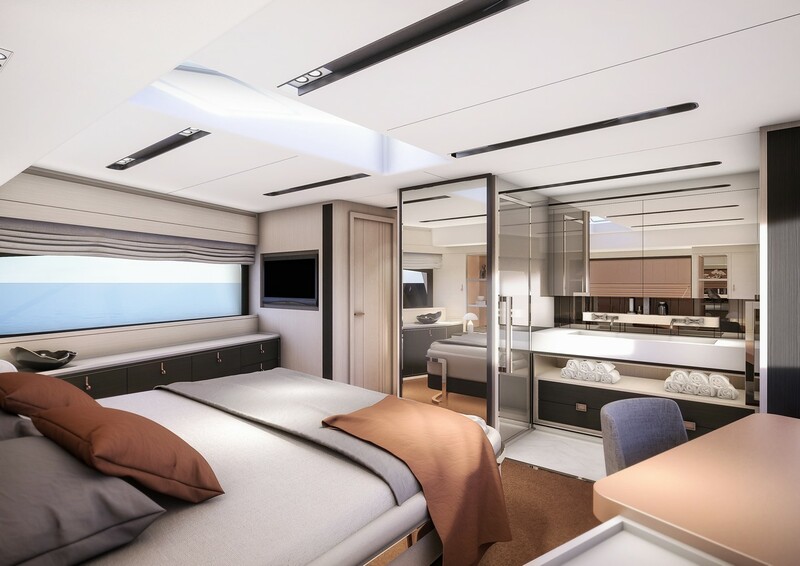 Following the success of Horizon Yachts’ Fast Displacement series, which debuted in the US with the FD85 at the 2017 Fort Lauderdale International Boat Show, the yard and designer Cor D. Rover have once again partnered to collaborate on a new design, the FD77 Skyline. The new FD77 Skyline joins the FD85, FD87 Skyline, FD 102 Skyline and the FD 125 Skyline to add to the current FD series line up— the FD 77 was specifically designed to appeal to active owner operators. 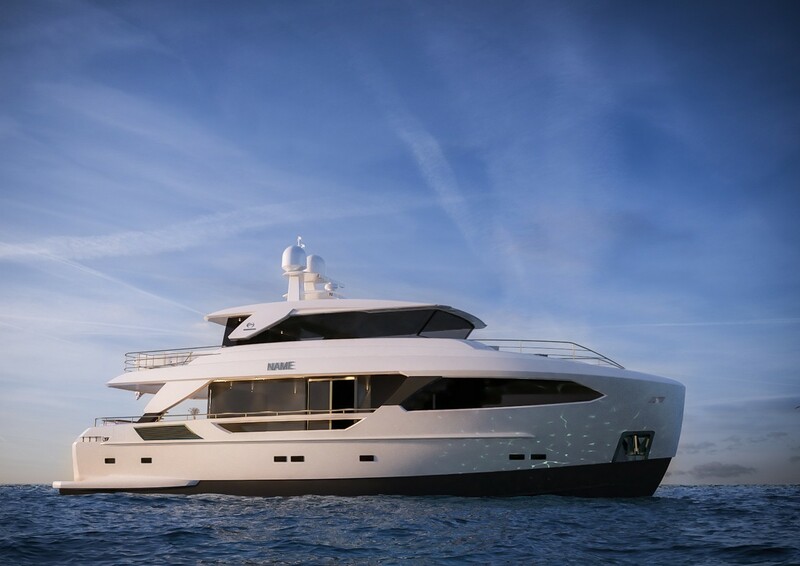 Characterised by large windows, an expansive 23′ beam, a striking exterior profile and the High Performance Piercing Bow (HPPB) hull design, the FD series has been well received by the global market. Since the first of the Fast Displacement series was unveiled in 2016, Horizon has now sold eleven FD85 motoryachts to clients worldwide. 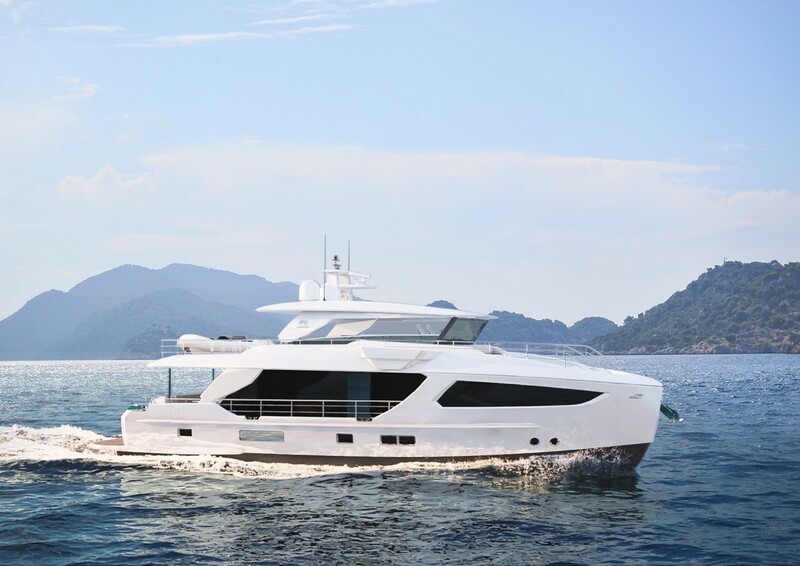 Interest from current Horizon owners who operate their own yachts inspired the design of the FD77, which retains the same styling and spacious characteristics of her larger sisters, wrapped in a compact package that affords ease of operation and excellent seakeeping capabilities. Horizon FD77 Skyline with Enclosed bridge. Horizon FD77 Skyline with Open bridge. Horizon FD77 Skyline Master Cabin. 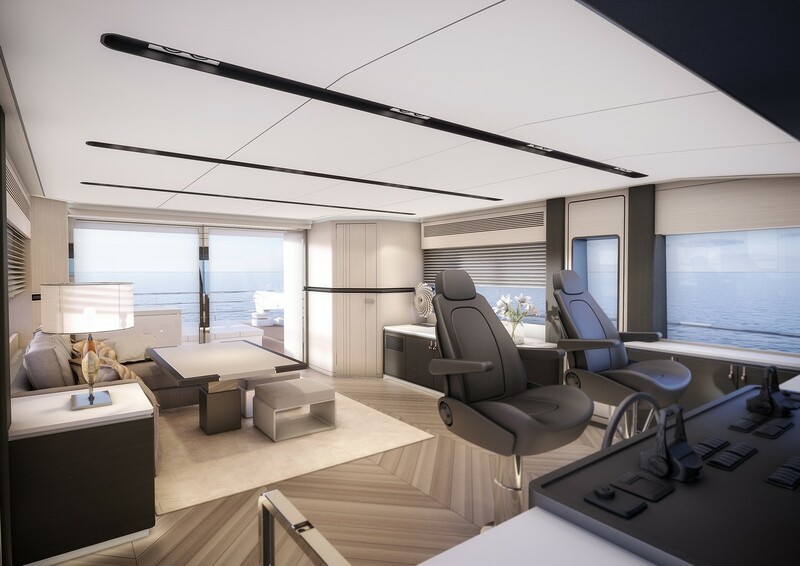 Available in an open flybridge or enclosed bridge version, the FD77 maximises its impressive interior volume with sections of floor-to-ceiling windows on the main deck from the salon forward into the master stateroom. 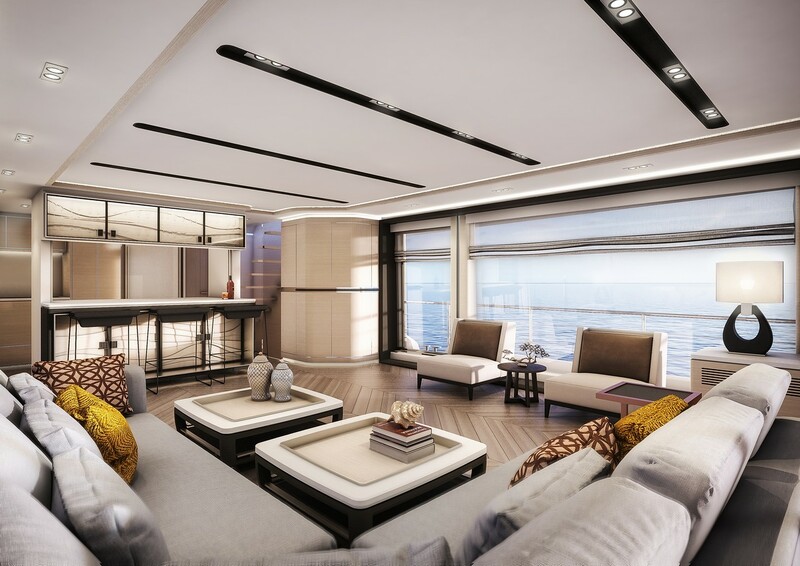 A sliding glass door to starboard in the main salon accesses the exterior walkway leading to the forward deck. On the lower deck, there are three additional staterooms, including two VIPs. Aft, there is a large beach club and located just forward of the beach club is a full head and additional cabin or crew space. Powered by twin CAT C18As of 1136hp each, hull one of the FD77 is currently in production for the American market and is expected to debut at the Palm Beach boat show and Miami Boat show, while hulls two and three are intended for the European and Australian markets, respectively.